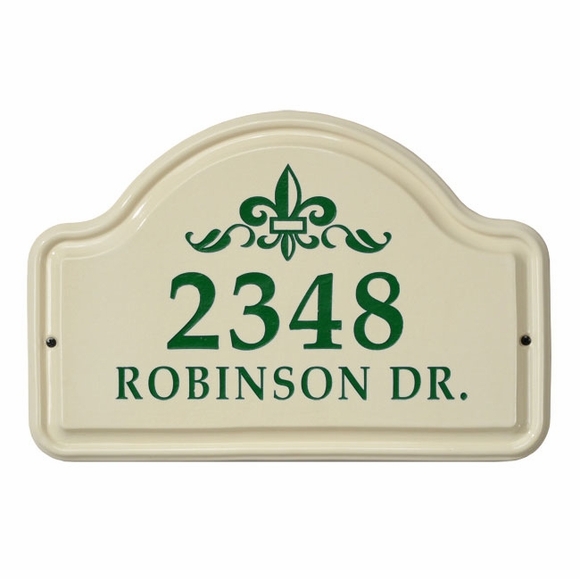 Personalized Fleur De Lis Ceramic Address Plaque - - arch shape address sign holds two address lines. Mounts on wall. Line 2 holds up to sixteen 1" characters. Bristol cream background with red, green, blue, or black fleur di lis and address.